Let’s tour around top 10 world-class vineyards in different regions of the world. Be prepared to be amazed by the spectacular views and impressive wines. 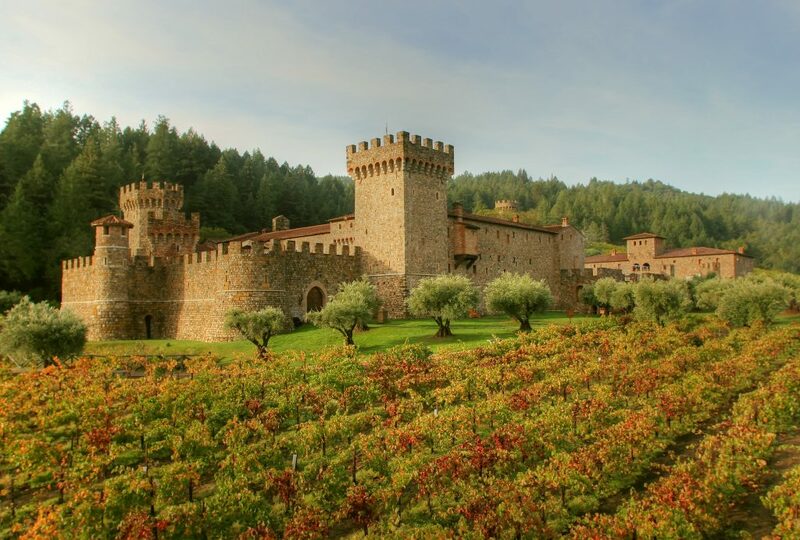 If you are a wine lover, these 10 spots must be on your travel list. Drinking great wines accompanied by natural beauty, these are the best experience for your senses. 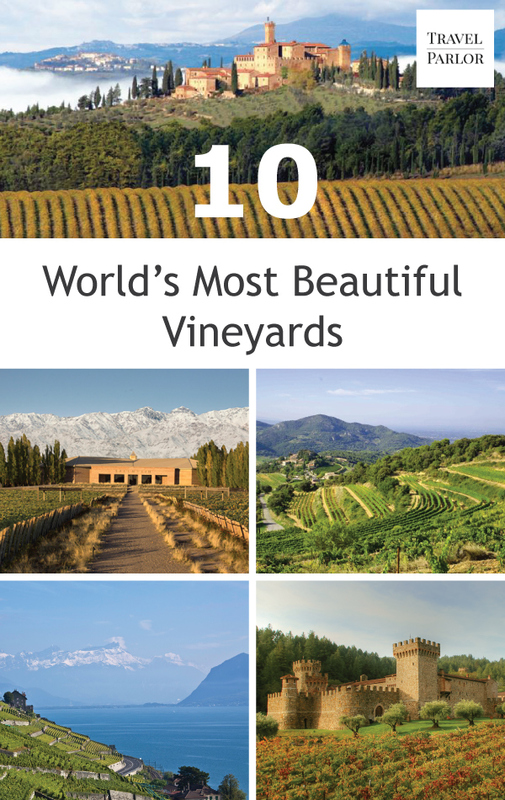 Let’s see our list of 10 world’s most beautiful vineyards and plan for your next wine tasting vacation. 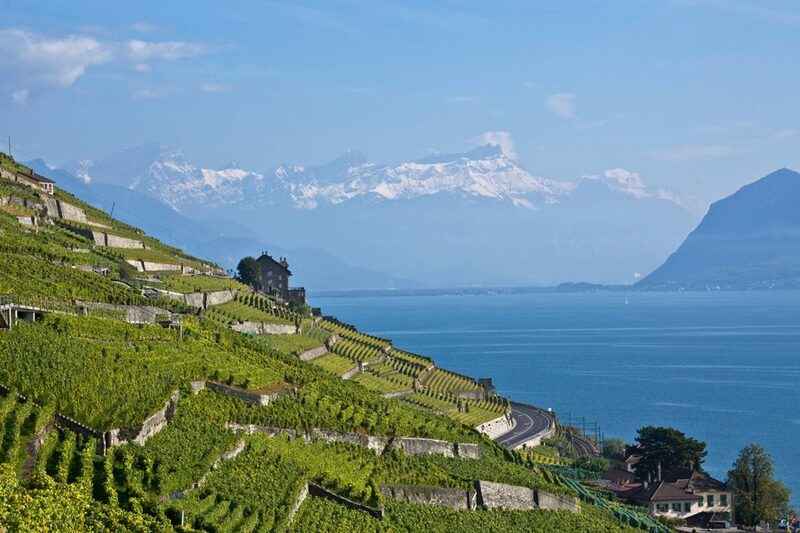 Discover notable wines in the steep terraced vineyards stretch along the south-facing northern shores of Lake Geneva. You can check out the stunning view of this UNESCO World-Heritage by foot, bike or train. A visit to this old French wine chateaux will leave you coming back for more. 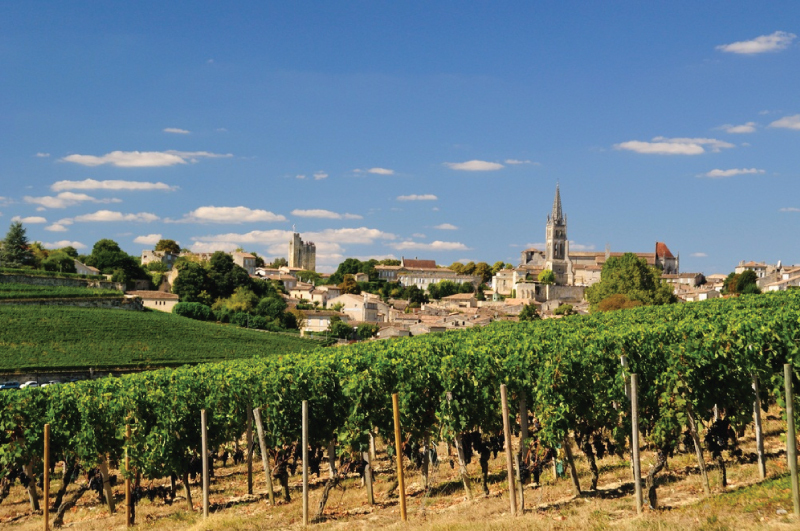 The picturesque village of Saint-Emillion, the aroma of the wines and the ever friendly winemaker will your stay in Saint-Emillion an unforgettable one. Explore the prestigious Brunello wine at the hilltop town. Savor your sip of fine Italian wines while enjoying the marvelous view. Best-known wine region in the United States. Napa Valley has more than 400 wineries with its own unique design. The beautiful landscape, the great wines, the attractive wine-making tour of cellars and caves make sure there is something for everyone who comes to visit this valley. Sip and savor at this charming Canadian city overlooking the Okanagan Lake. 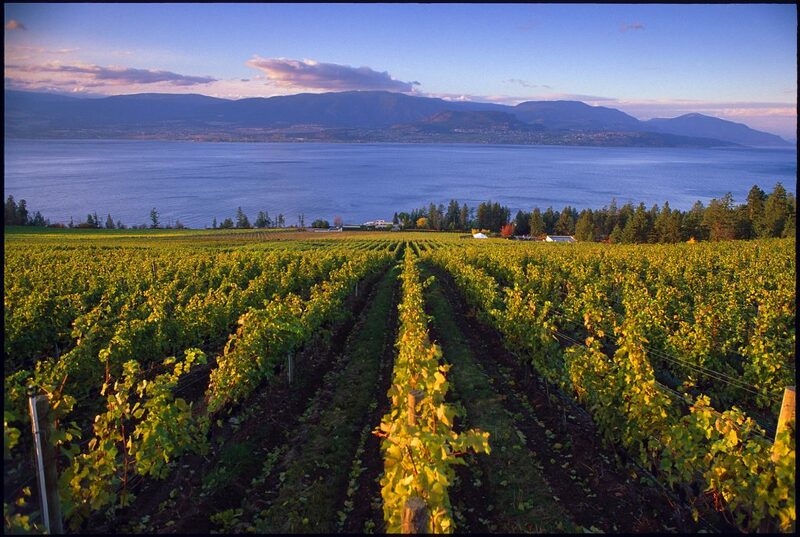 Sampling the wines, eating the locally sourced food, a hike at the vineyards, and watching the sun setting by the lake are activities that make Kelowna trip a superb one. Create beautiful wine memories from the land Down Under. The Yarra Valley is a must-visit wine producing region for the wine connoisseurs who love fine sparkling wines, exceptional Chardonnay, complex Pinot Noir and world class Cabernet Sauvignon and Shiraz. Located in southeast France, Provence produces top quality wines as a result of the perfect mix of mild winters and long summers. The Provence wine route takes you from the seaside to mountains and scenic villages perched up high. One of the most astonishing landscapes in all of Portugal. 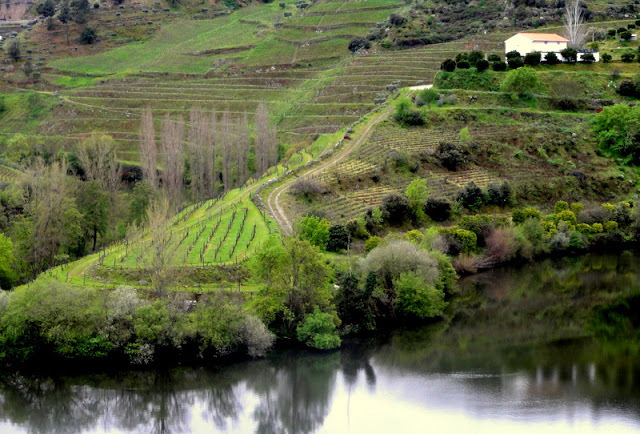 Located in the North of Portugal, Douro Valley, is one of the Europe’s great wine destinations. 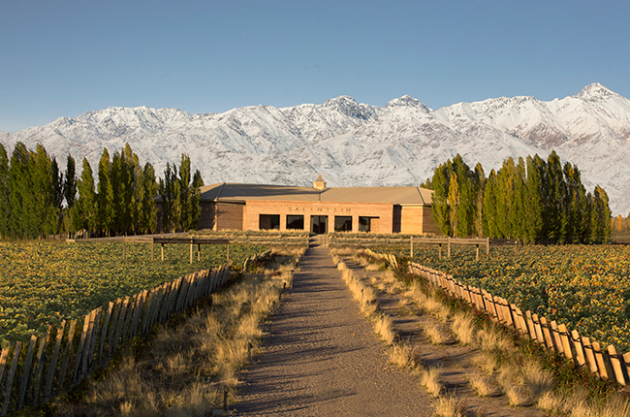 The vineyards in Mendoza has snow-capped Andes as the backdrop. The gorgeous weather, the amazing natural landscape, and the fantastic Argentinian wines make this mountainous region a popular destination. Wurttemberg is a hilly countryside with terraced vineyards that produces mostly red wines. 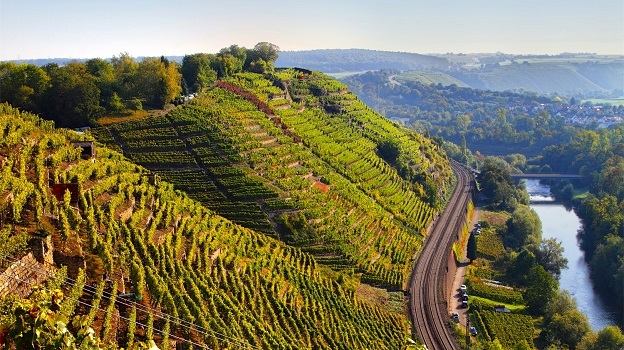 Steep vineyards overlooking Neckar River offers a remarkable view for travelers.